France will huff and puff at the G-20 sessions today. Germany will dig in its heels. But in the end, the U.S. and U.K. rule the global banking system—and they’ve pre-cooked a deal. Farewell G-7 (or G-8 if you include Russia). Hail the G-20, the new and expanded group of summiteers that is taking over responsibility for the global economy. The G-20 will assume the role of a permanent council on global economic co-operation, a role previously held by the much smaller group. It’s been going that way for a couple of years now. But the Pittsburgh summit, which began Thursday night and continues today, will go down in history as the one in which the old G-7 of advanced economies (America, Britain, Germany, Japan, France, Italy and Canada) finally gave way to a much larger cast of characters, which includes the new emerging economies—such as China, India, Mexico, Indonesia and Brazil—of the 21st century. It’s not yet clear if the Pittsburgh summit will be remembered for anything else. Certainly not the street demonstrations, which are small beer compared with Seattle or Genoa and which have been easily controlled by the tear gas and ear-splitting sirens of the local robocops, who seem to have the whole city in lockdown. And certainly not for anything dramatic on bankers’ bonuses, despite all the rhetoric in the lead up to Pittsburgh. Allistair Darling, Britain’s chancellor (or treasury secretary), was making stark warnings about bonuses in the run-up to Pittsburgh: “The party has got to be over,” he told the BBC. But Darling agrees with the Obama administration that governments should not intervene directly on the size of bonuses, but rather merely lay down some general ground rules. London has had a Labour government for 12 years, and Washington has a new Democratic regime which some Republicans like to depict as “socialist”. But neither wants to cap bankers’ bonuses, even after last year’s financial meltdown. • More Daily Beast G-20 coverageBut Little Sarko is always threatening to throw his toys out the pram if he doesn’t get his way—and when he doesn’t, he settles for sulking instead. He won’t walk out today, even though the Americans and British will stop him getting anything like as much as he wants. When it comes to banking, the Anglo-American special relationship is still very much alive: the French aren’t players in the global bank system; the U.S. and the UK are; and that’s what Sarkozy is out to undermine. Or that’s the view in Washington and London, anyway. Most Europeans are closer to the French than the British, however. "Europeans are horrified by banks, some reliant on taxpayers' money, once again paying exorbitant bonuses," said European Commission President Jose Manuel Durao Barroso in a statement preceding the official opening of the G-20 summit. Germany’s powerful Chancellor, Angela Merkel, agrees. She rarely sees eye to eye on anything with the French president. But on bankers’ bonuses they are as one. But then again, Ms. Merkel faces an election on Sunday and there is as much disgust about bankers' remuneration in Germany as there is anywhere else, even though German bankers were far from being the greediest (and, unlike France, Germany does really have a huge global banking presence). There is much fevered talk in the European press Friday morning of Europe and America being on a “collision course” (the Guardian) in Pittsburgh over bankers’ bonuses. Don’t believe it. President Sarkozy will huff and puff, then claim he got what he wanted. Chancellor Merkel will dig her heels in, but not for too long: she has to get back to Germany for the election. The shape of the deal over bankers’ bonuses has already been done, agreed by the Americans and British, who have the banking businesses that matter. Little Sarko is always threatening to throw his toys out the pram if he doesn’t get his way—and when he doesn’t, he settles for sulking instead. He won’t walk out today. The G-20 leaders had a working dinner at the Pittsburgh Phipps Conservatory and Botanical Gardens Thursday night. Today, the focus will be on group sessions, ending in a news conference. My understanding is that a preliminary deal on limiting bankers’ bonuses, concocted by US Treasury Secretary Tim Geithner, has already effectively been agreed. Each country will be responsible for setting its own standards on executive pay, but the process will be overseen by the Financial Stability Board (FSB), a newly-formed board which includes all the G-20 countries. The agreement will link bonuses to long-term performance, allowing accrued bonuses to be clawed back during any year when the company does poorly. There will be no specific monetary caps ( a deal-breaker for America and Britain) but the FSB will look at ways of linking a bank’s bonus pool and executive pay more closely to the health of its balance sheet and overall profitability. The FSB will publish guidelines later today. It will advise G-20 nations to prevent banks with low levels of capital from offering large bonuses under guidelines to be discussed by the group. The aim will be to link the total bonus pool and the firms’ overall performance. The guidelines are also expected to cover disclosure of pay levels, deferral and vesting periods on share-related pay, independent oversight and scaling back unfairly earned pay. Now some of this will act as a restraint on bankers’ pay and bonuses--and might even stop the banking system from replicating the sort of pay structures that rewarded short-term performance and encouraged excessive risk-taking. But somehow I feel there will be sighs of relief on Wall Street and in the City of London when the shape of the G-20 package is revealed. Much of it, after all, will be merely guidelines. Some of it will be what the banks are doing already. All of it will leave them with plenty of room to maneuver. Expect the sounds of champagne corks to echo round the grand canyons of both financial centers as dusk falls tonight. 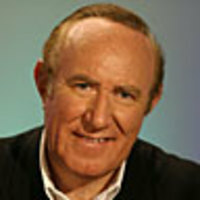 Andrew Neil is a publisher and broadcaster working out of London, New York, Dubai, and the south of France. He is chairman and editor in chief of Press Holdings Media Group, publishers of The Spectator, Spectator Business, and Apollo.